I think this is wonderful. Thank - you, for showing me how to do this stitch. 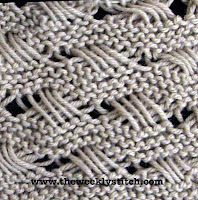 This is going to be my scarf stitch. I love it. Thanks for the great video and instructions. It is most definitely awkward and you make it look so easy! I'm new to knitting. Does the cast on stitch count as one of the first four rows in the pattern? Well not to confuse you, but yes and no. I personally never count the cast on as a row when I design, but some do. The pattern should tell you if it does. If you use the long tail cast on, it does create a row of knitting. I say it is up to you whether or not you want to count the cast on as a first row, but for me the cast on is just that. I don't start counting rows until I begin knitting the first row of the pattern. Oh and check out the tech knitter blog there is some good info on this topic there. I tried this tonight and your instructions were so easy to follow! Thank you so much for sharing this and I'm having a lot of fun making my first Indian cross stitch scarf! Very clear instructions. Will this work with thicker yarns? Hi Mary! I don't see why not. Just work up a little swatch first to see if you like how it looks and go from there. How many stitches do you cast on? Also, if you are knitting on circular needles, but not "in the round" would it rows 1-4 not be knit row 1, purl row 2? Sorry... New to all of this but I loved that pattern and your video makes it look super easy! Hi just started watching you on you tube. Love you dor two reasons one you explain things really well and two which to me is the most important is YAY your a continental knitter. Now for my question I love this Indian Cross Stitch but besides a scarf what else can I make. I can't think of anything vests are out of the picture. Tzivia you can make anything with it. A shawl, hat, bat, and even a vest: http://www.ilgaleja.com/collection_city_portside.php. 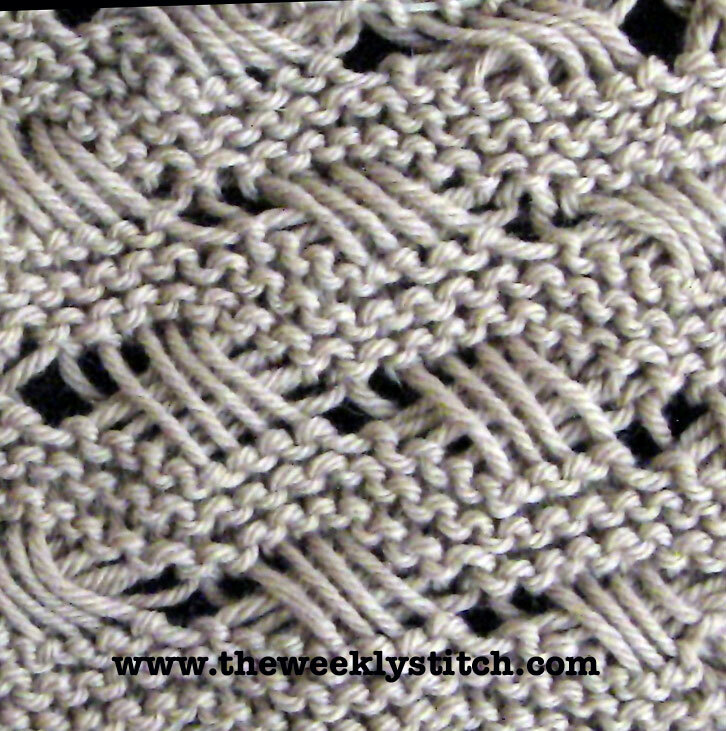 You might also want to peruse Ravelry and see if there are any patterns there with this stitch.